Lately I seem to have a penchant for sharing less than authentic recipes with you. So why, I thought, stop with lasagne and Moroccan meatballs when there’s guacamole to add to the list?? It is, however, incredibly delicious regardless of the fact it’s not proper guacamole. 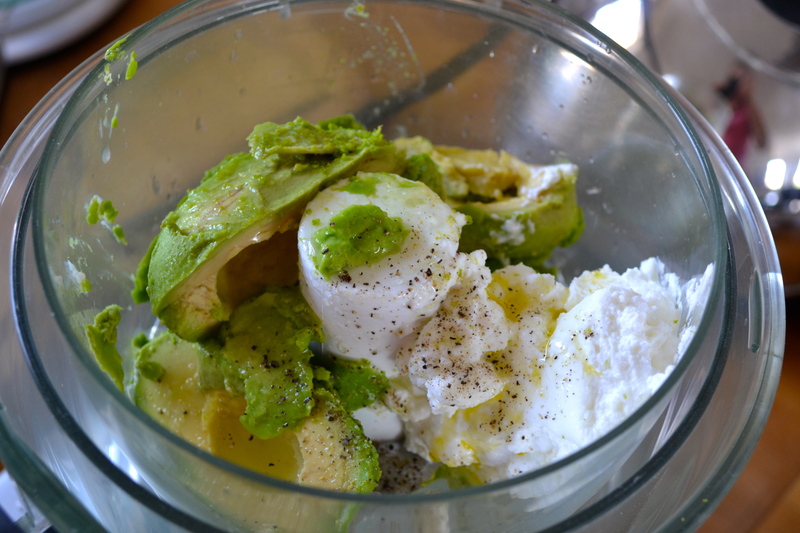 It’s another Ottolenghi recipe (after the rice pudding recipe last week) but unlike many of his recipes, this one is quick and easy with only 4 ingredients in the list: avocados, lime, olive oil and Greek yoghurt. 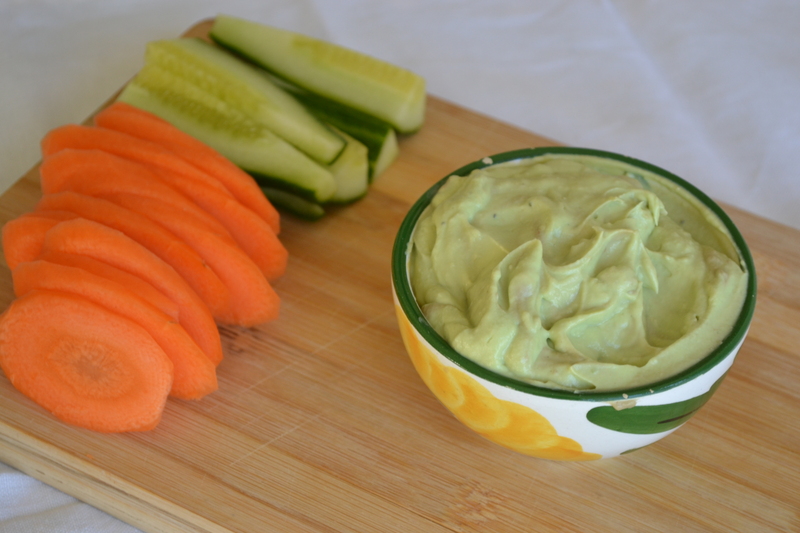 Now some of you may be familiar with my surprisingly strong views about using proper Greek yogurt in dips. If you use natural or “Greek style” yoghurt, your dip won’t be a delightfully fluffy, scoopable dip that holds it own, but rather a bit of a runny mess. So I highly recommend using some Total in this. Ottolenghi suggests serving it with polenta crisps, which do sound delicious (recipe here), however I’m afraid that after cooking everything else for a dinner party I was loath to start frying bits of polenta. But it’s still completely delicious when served with crudites, some toasted pitta, pretzels or just crisps. 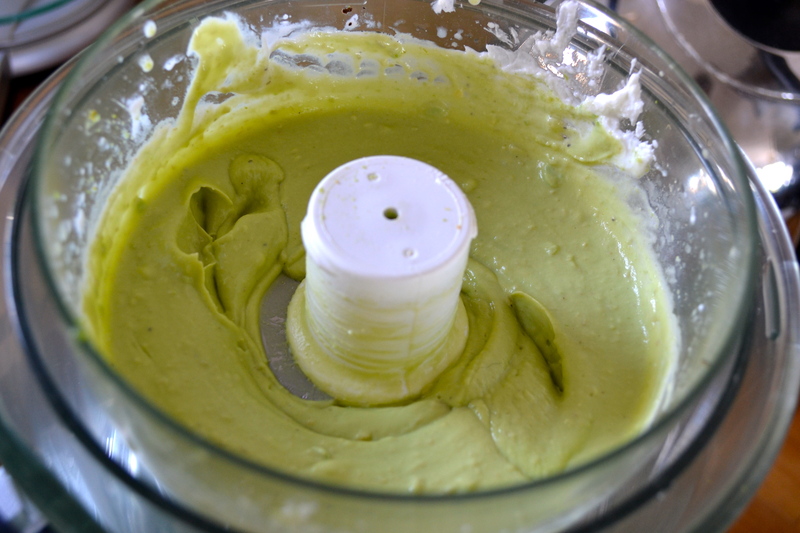 To make, simply put all of the ingredients in the small bowl of a food processor along with a pinch of salt and pepper and blitz to a smooth paste. If you don’t eat this immediately after making, it will go from a delicious bright green to the colour of pond sludge but a quick stir before serving will restore it to its former glory. It’s best to eat it within a few hours of making it though.